Luxury cruise liner Genting Dream is set to dock in Tanjung Priok, North Jakarta, on April 5, allowing travelers to board the 150,000 tons ship. The cruise is slated to depart from Singapore on April 1 and sail to Surabaya and Jakarta. The packages offered by the cruise range from two-night to five-night stays with a starting price of Rp 5,775,000 (US$420.23) per person. 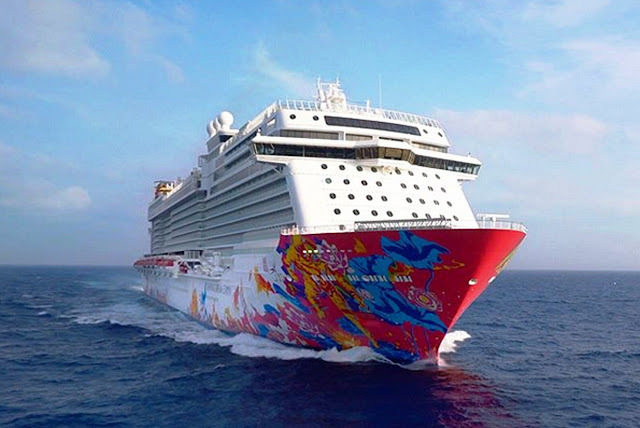 Genting Dream is a luxury cruise ship specifically designed for the Asian market. With a capacity of over 3,300 passengers, the cruise liner is equipped with onboard facilities, such as six waterslide parks, rock climbing wall, a 35-meter zip-line that sways above the open waters and more. Michael Goh, international sales senior vice president of Genting Cruise Lines, said during the company’s Travel Partner Tribute Award event that the Genting Dream had previously included Surabaya and North Bali as its ports of calls, adding that over 15 percent of its passengers were Indonesians.